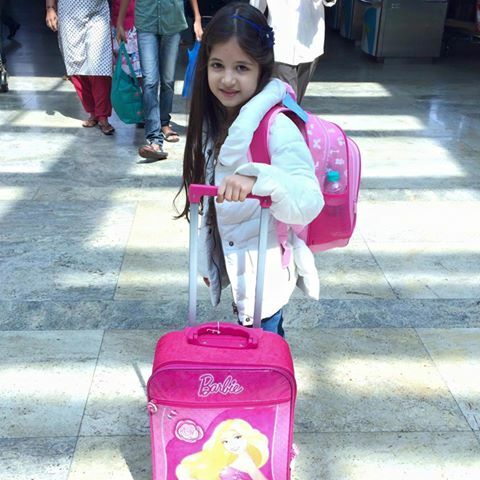 Since the launch of the teaser of Salman Khan's "Bajrangi Bhaijaan", a little girl has caught the fancy of fans. This girl appeared in the teaser before powerhouses Salman and Kareena Kapoor Khan, which proves how crucial she is to the plot of the film. Kareena said the girl was the "real star of the film" and she didn't mind it. The little girl is none other Harshali Malhotra who was last seen in the TV show "Laut Aao Trisha" in which she played Bhagyashree’s younger daughter. Harshali, in fact, has done several ads inluding that of Pears, Haier and many others but this (Bajrangi Bhaijaan) will be her big Bolly break.